Our legal team has years of experience fighting for the rights of injured clients and helping them obtain the compensation they need to move forward. Call us at 801-350-3506 for a free case evaluation. At the end of August, Utah news stations reported that two motorcycle riders were killed due to accidents on Utah roads. With these deaths, the total number of motorcyclists dying in crashes in 2018 was up to 40. According to the news, the first accident happened when a Toyota Tacoma was turning left and hit an oncoming motorcycle. The second took place when a 2005 Suzuki motorcycle tried to pass another motorcyclist and lost control of his bike. When his vehicle slid off the shoulder, the driver was thrown from the bike and was fatally injured when he hit the ground. Before these accidents, the yearly number of motorcycle accidents was already higher than years past. Unfortunately, it looks like that number will continue to climb. 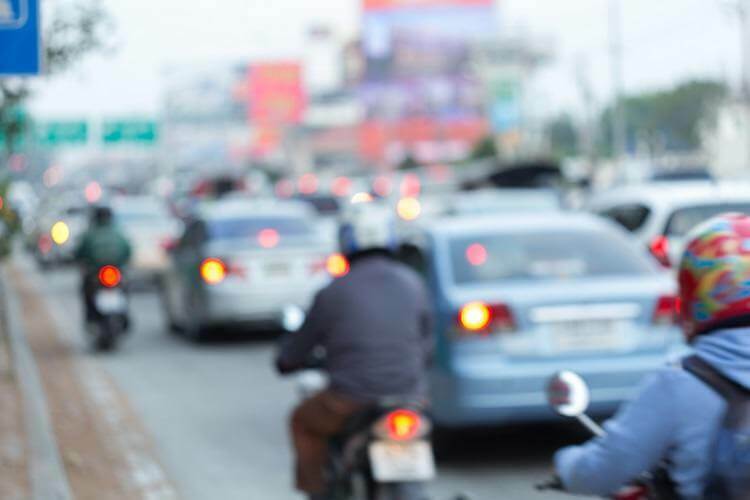 While Utah doesn’t have the highest number of motorcycle deaths of any state (that distinction goes to Ohio, Pennsylvania, California, Florida, and Texas), our Farmington motorcycle accident attorney will tell you that any fatal accident is one too many. Motorcycle riders face unique challenges on the road and must take more safety precautions than other vehicle drivers. For example, a helmet is imperative to help prevent deaths caused by head injuries. By knowing what problems motorcycles confront on the road, drivers can modify their behavior and prevent the growing number of accidents caused by those pitfalls. Accidents can’t be prevented by motorcycle drivers alone. Everyone on the road has to play their part for safety. It’s important to keep your motorcycle in top condition if you plan to ride it. If a part is damaged, have it fixed as soon as possible. Otherwise, you could be named at-fault in an accident due to negligence. Also, never let someone else operate your bike. This is an especially important rule if that person has a bad driving record, doesn’t have a motorcycle license, or is too young to legally operate the bike. As a car or truck driver, always be aware of vehicles around you. Motorcycles can easily slip into your blind spot if you’re not paying attention. Driving distracted is dangerous. If you fail to obey the regulations and rules or the road while you’re looking at your phone or changing the radio station, the police and insurance companies will hold you responsible for the accident and the victim could hire a Farmington motorcycle accident attorney to sue you for damages. Worse yet, if the motorcyclist dies, you could face criminal charges. Utah government departments are responsible for road safety conditions. If a street is missing proper signage or has tire-swallowing potholes, the government could be held liable for any accidents that occur. It’s important that agencies manage roads effectively and don’t neglect their duties. Serious injuries and deaths caused by motorcycle accidents are devastating. If you’ve been affected due to someone else’s negligence, a Farmington motorcycle accident attorney at Jardine Law Offices, P.C., can help. Our legal team has years of experience fighting for the rights of injured clients and helping them obtain the compensation they need to move forward. Call us at 801-350-3506 for a free case evaluation.